Compositions by authors under the zodiac sign of Aries are powerful, strong and impetuous. Composers under the sign of Aries were born between 21 March and 20 April. During this spring-like period, the day and night equinox takes place on 20 March, and the following day the ram enters the sun. It is the primordial force of life that determines existence from the time of the equinox. The sign of the zodiac Aries is determined by this force. The works of these Aries-born composers appear impulsively, and at times perhaps even a little prematurely. But is that also true when astrologers claim that music advances with mighty power, in a boisterous way as fire makes its way? And it is said that every now and then it lacks sensitivity, because it is said that it is very much animated by fighting spirit? All statements that cannot be proven by anything! We have listed here a list of works by composers born under the zodiac sign of Aries. Listen and see for yourself whether these described character traits are actually included in the music. Hubert Camenzind was a clarinetist and saxophonist. 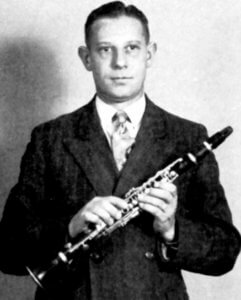 After he had started his ten-year activity in a silk spinning mill in Gersau at school age and had been introduced to clarinet playing by a member of the local music society at the age of seventeen, he moved to Seewen in 1945, where he stayed for a short time. Then he joined the professional band of the accordionist Ernst Zwahlen from Interlaken, with whom he worked monthly for over five years in concert venues such as the Genferstube and Glocke in Bern. His services as an experienced wind player, whose role model was Jost Ribary, he lent in the further course of his career as a musician to many renowned bands from the Bernbiet, such as Fritz Mosimann, Walter Balmer senior, Lorenz Giovanelli and Viktor Gaggioli. Residing in Bönigen from 1951, he retired from professional music at the age of forty at the end of the fifties. He then found employment as a storekeeper at Mühlen AG in Interlaken, but nevertheless continued to make music part-time until 1970. A physical condition forced him to stop his career early. All the more zealously he occupied himself with composing, in which he eventually produced about 150 pieces. His best-known titles, published by Gottfried Aegler, are ‘Schwyzergeist’ and ‘Fest im Schritt’, the latter a march for wind music recorded by the papal Swiss Guard on record. Starting in 1965, Jaroslav Andrejs was in charge of the music department at the national radio station Hradec Králové, Czech Republic. Josef Ginzl‘s musical talent became apparent early on. At the age of fourteen he became an organist in a church in Bezdìdicích. Later he founded his own band and played various instruments. At the age of twenty he began his career as a composer of popular music. After 1945 he worked in Šluknovì, later in Doksy. Many of his songs were played on the radio at that time. From 1960 to 1965 he founded his own wind orchestra and founded a local wind band festival. As of 1965 he lived in London. He is the author of about 130 pieces for wind bands, many of which have been recorded. Richard ‘Billy’ Vaughn played in various local clubs and organized a popular group known as the Hilltoppers. Franz von Suppé Franz von Suppé comes from a Belgian family. One of his ancestors emigrated to Upper Italy and he acquired the right of residence in Cremona. From there the family moved to Dalmatia, where his father and grandfather took over the function of the head in Split. Already very early one could see Suppé’s talent to music, but his father was absolutely not delighted about this. Finally he studied law and fulfilled his fathers wish. But he never lost music out of his eyes. After the early death of his father he moved with his mother to Vienna. There he completely dedicated himself to music. 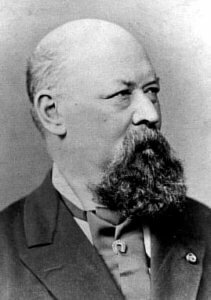 In the history of the German operetta the composer has a right to two places of honour: He was the first representative of the new music genres in Vienna, and he was one of the best masters in the later glorious days of the Austrian operetta.